Jock Soto says he fell in love with ballet at the age of five, when he saw Edward Villella on television in Rubies, from George Balanchine’s Jewels. Jock began his training in Phoenix, Arizona, then joined Westside Ballet. While in his early teens, he danced in Westside Ballet’s production of Les Sylphides, staged by Rosemary Valaire. Jock finished his training at the School of American Ballet. 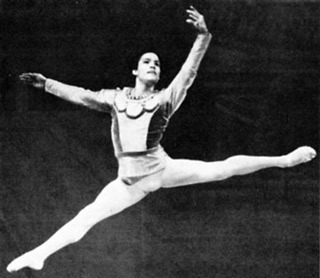 In 1981, at age 16, he joined the New York City Ballet as a member of the corps. In 1984 he was promoted to the rank of soloist. In 1985 Jock became a principal dancer. Jock retired from New York City Ballet at the end of the Winter 2005 season.